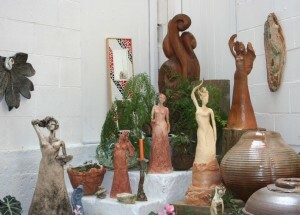 Helen hand builds and shapes all of her sculptures – and that is what makes them unique. 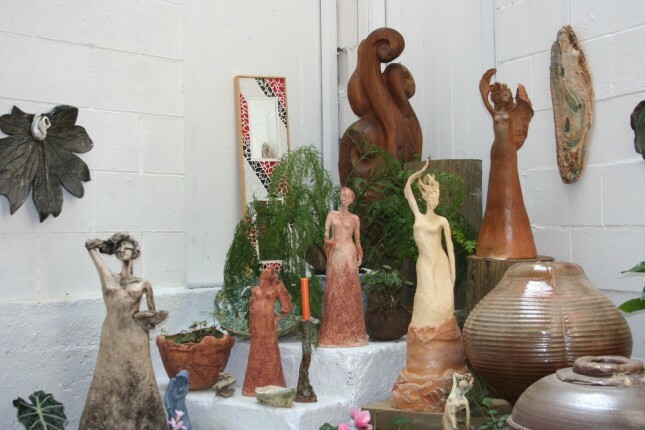 Twenty years ago Helen attended a Summer Do Art School at the Quarry Arts Centre which sparked a passion for working with clay and experimenting with various forms of firing techniques and methods. 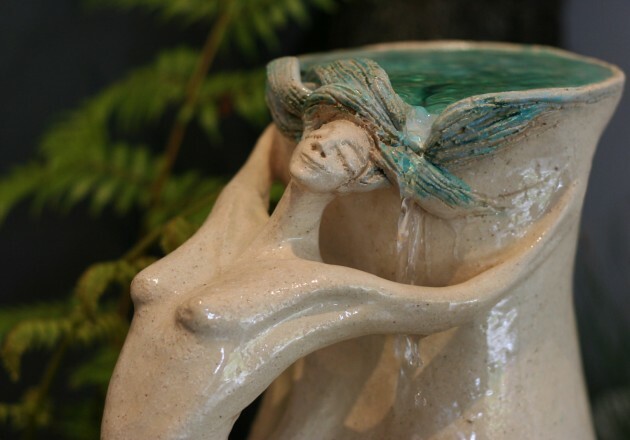 Her works range in scale from small pieces to very large life sized works, and she is well known for her female goddess forms, water features and heavily textured vessels. 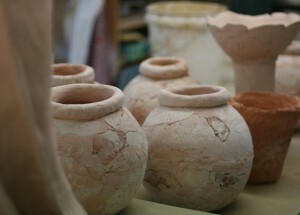 Helen has taught primitive firing techniques in Malaysia and Europe and has exhibited widely throughout New Zealand. 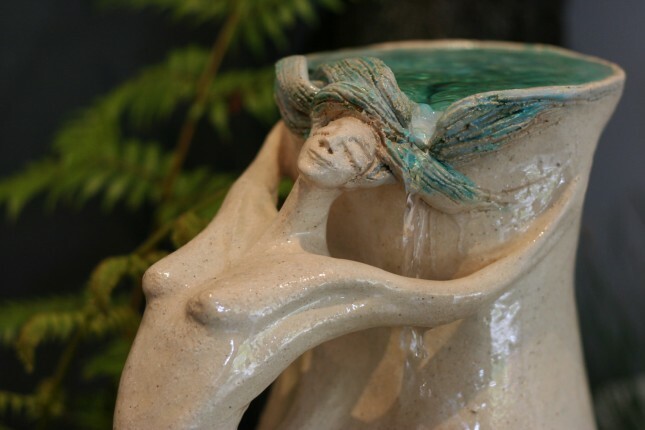 All of her works can be displayed indoors and outside, and many of her elegant clay sculptures are dotted around the Quarry grounds.